Yesterday Apple introduced its new products and updates during the special event in Cupertino. The keynote unveils the new Mac Book Pro, incredibly thin and light, but also a series of news that are going to change the way we use our iPhone. But more importantly how the Apple Watch is going to change the game in the wearable and smartwatch industry. -> SEE ALSO: ARE WE READY FOR A SMARTWATCH? One of these news is the ResearchKit, a new way to use your smartphone for medical researches and see results in real time. One of the major problems traditional Medicine has today is to lead researches and elaborate results in an effective and fast way. Now, with ResearchKit, an open-source software, researchers and developers can build new apps that could revolutionize medical studies. But more importantly, now that technology and sensors are not just with you but ON you, the evolution is pretty clear. Apple Watch will be an essential part in this revolution. With the heart-rate monitor and other tracking tool, Watch is the perfect device to record and share medical information and data in order to improve our health. Data security is of course very important in this process. Now Apple will collect our most personal information, like our heart-rate and other medical researches, but it has assured that all data will be completely managed by ourselves and we can decide which information share and to whom. 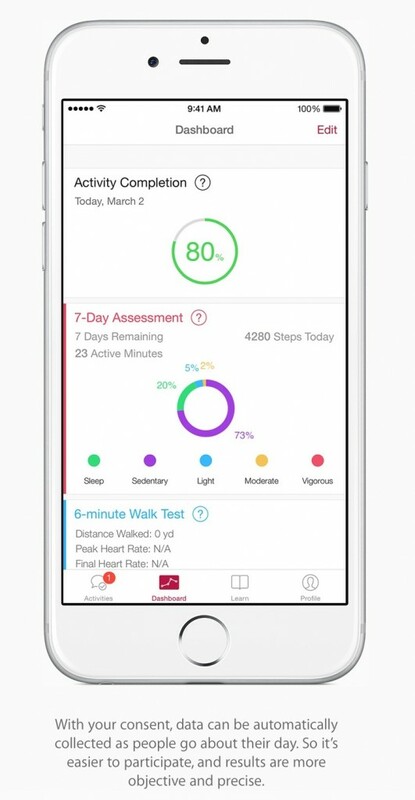 So today, many apps are already using HealthKit to track our activities and health and many other will be developed by the next years. Apple Watch is crucial in this revolution. We are used to track our runs and sleeps, for example, but we are not yet used to live 24 hours a day with a smartwatch that could almost be used for everything. Many sport bands and smartwatches already are on the market and didn’t seem to be integrated in our daily life so deeply. I have a sport band and a smartwatch but I don’t use it everyday. So why Apple Watch should bring something new on the table? As I said, sport bands and smartwatches are already in the market today but, especially for the second, it’s something people are still mistrustful about. Apple’s customers loyalty can make the difference. Today Samsung is the leader in the smartwatch business but there are so many models (around 7!) and so many compatible smartphones that the industry is too fragmented. Apple customers are very profiled, loyal to the brand and high spender. This means that they are likely to buy pretty much everything Apple produces. IPhone users are now around 700 million and if Apple says that Watch is going to be a game changer, it will probably be. The customers loyalty and stickiness to the brand will be fundamental for Watch penetration but what are the differences between Apple Watch and other smartwatches? With Watch will be possible to do pretty much the same things you can do right now with other smartwatches such as: see notifications, read and reply messages and emails, see weather forecasts, set up meetings and reminders, track activities, navigate and other things. The real difference Apple user experience and interface, but also some improvements that can really change the game in the smartwatch industry. Apple has integrated a complete fitness and activity tracking apps in order to live every hour of the day with “the most personal device”. The fact that it can monitor our habits in order to live a better life is a good reason for many Apple sport-lovers to stop using sport bands and start using Watch to track their progresses. 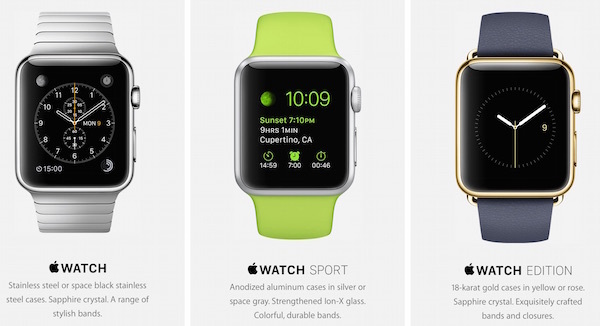 Apple has created a Watch Sport mainly for this reason. -> SEE ALSO: WHAT DO WE USE SMARTWATCHES FOR? Apple Pay was introduced last year and it’s not yet available everywhere. If you live in the States, you’ve probably noticed that you can pay using your iPhone 6 and the integrated NFC. 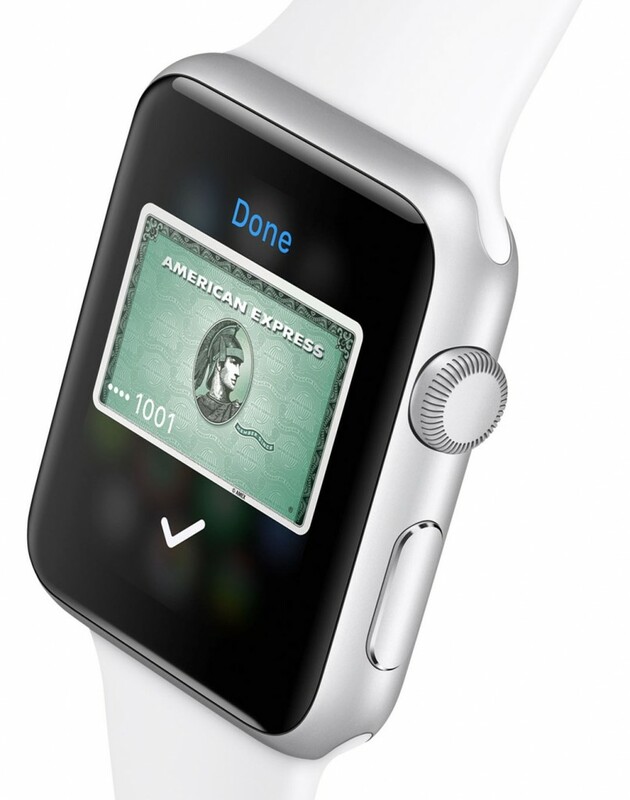 Now Apple Pay will be also available on Watch and you can pay without even pulling out your iPhone. You just need to close your Watch to the sensor and press a button to confirm the payment. A gentle vibration will confirm the transaction. That’s it. With Passbook you can also keep your boarding passes, tickets, and loyalty cards right on your wrist, and get alerts when it’s time to use them. I have a Moto360, which I use with a second phone, a Nexus. The problem is that every time I need to reply to a phone call I need to do it using the smartphone. On the smartwatch screen I can see just the notification. With Watch you can reply directly from your wrist device, using the built-in microphone. Even the speaker can give you sound notifications. 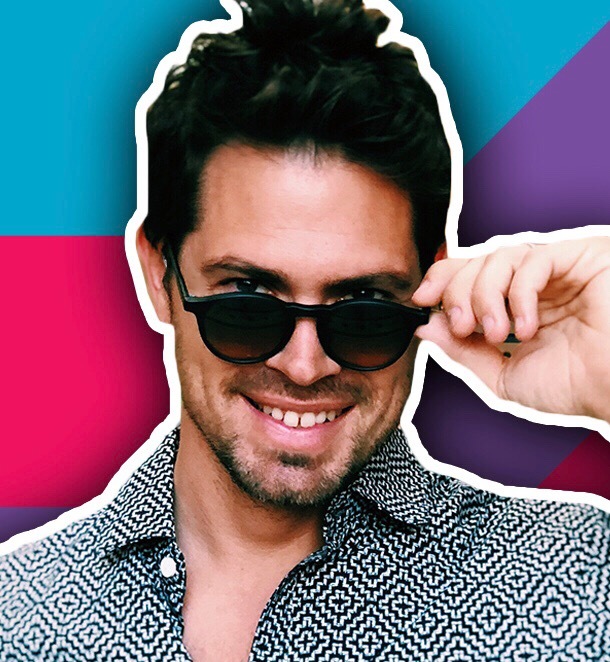 I don’t know if it’s something catchy or not but may be for Millennials it will. Apple has introduced a new feature that allows Watch users to communicate in a new original way. By pressing the side button you can access your friends list and use your finger to draw and send them quick images and sketches. Also, you can tap on your Watch screen and transmit in real-time the tap to your partner’s device who will feel it with a vibration. And if you want, you can even share your heart-rate. This feature sounds to me like a first step toward a virtual-intimate relationship between humans. Something more than a Skype video call or a Facebook Poke. Now that Watch is popping on the scene, developers will start re-think existing apps and create new ways to integrate smartwatches with smartphones. This revolution will lead to a new mobile era where creativity and innovation will play together to reinvent behaviors. 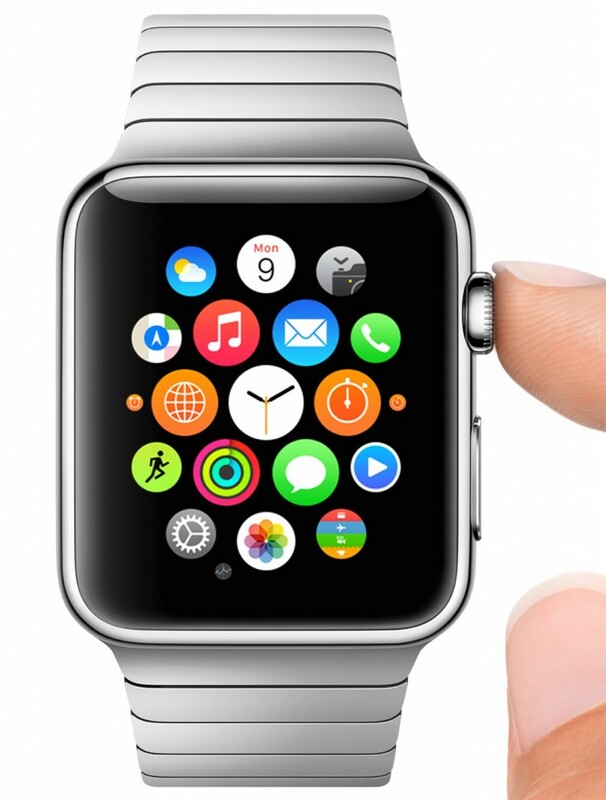 Apple Watch apps development might be a new spinoff business. If you can pay with your watch, imagine the new apps and features that will use all the data running on our wrist. You could get real-time notifications and in-person store engagement; or personal ads based on your fitness behavior. The next year will be the year of judgment to understand if smartwatch will be for real the future or just another tech bubble. After the fail of Glass, are we ready to wear a device all day long and recharge it everyday?